The walkway was completed over Friday night and opened early on Saturday 11 November as planned. So the developers achieved their planned and advertised closure of Fletcher’s Walk and opening of the newly constructed Centenary Way Walkway through the Paradise building site. 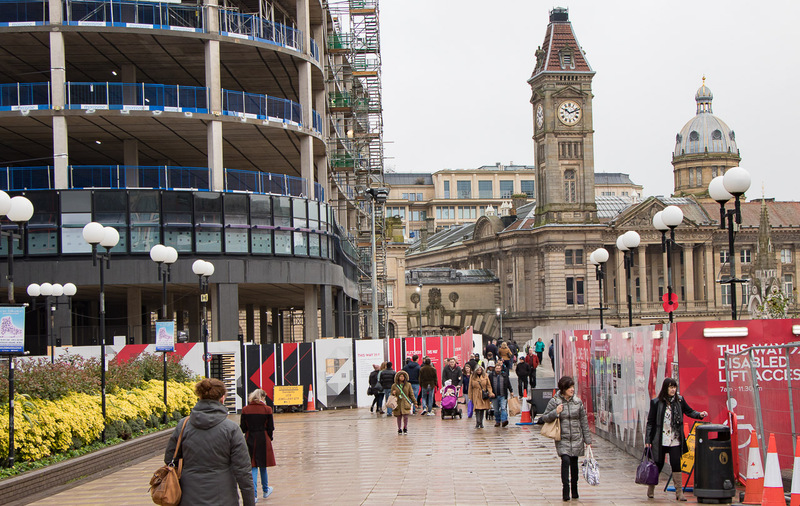 I am surprised what a huge difference this new way for pedestrians has made to walking from Centenary Square to the Museum and Victoria Square beyond. The Museum entrance is now fully reopened and the museum frontage can be seen in all its classical splendour. The whole visual experience is bright and uncluttered in contrast to the now closed Fletcher’s Walkway which was like entering a run down and grubby tunnel and then having to use a steep set of stairs. I resisted the temptation to entitle this article “A walk through paradise” as hopefully that will be earned more deservedly when the two buildings bordering it – Nos 1 and 2 Chamberlain Square – and Chamberlain Square itself our completed and the walkway is enhanced to match, in the 4th Quarter of 2019. It has taken two years of destructive and constructive work to get this far but things are definitely now starting to look up for Birmingham City, local residents and visitors alike. Below is a slideshow of photos I took this morning while walking from Centenary Square to Victoria Square.